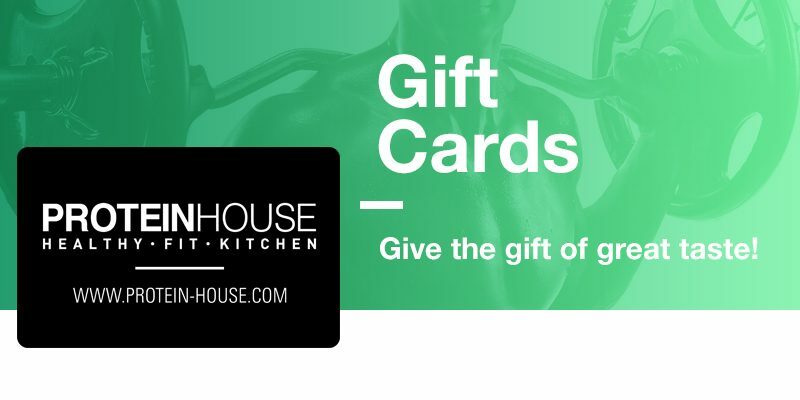 ProteinHouse gift cards are a great gift for everyone in your life — from the pickiest of eaters, to the health conscious, to those who just love to indulge in a delicious meal! We have something for everyone AND all our meals are made with fresh, wholesome, nutritious ingredients, which means this is a gift you can feel great about giving! Gift cards are available for purchase in all ProteinHouse restaurants.